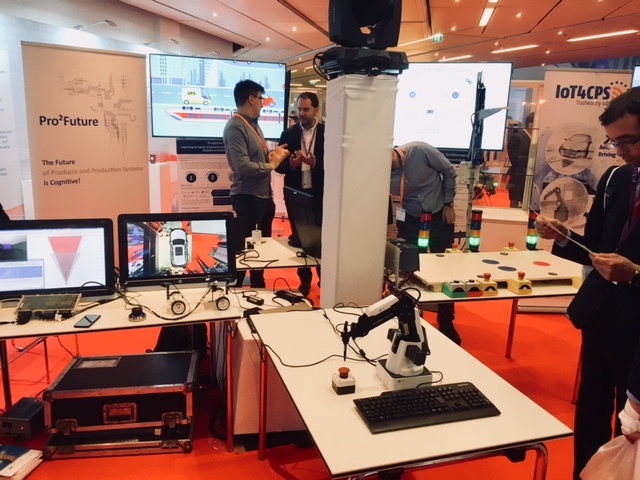 Julia Pammer organized an interactive workshop for IoT4CPS at the ICT 2018: Imagine Digital. 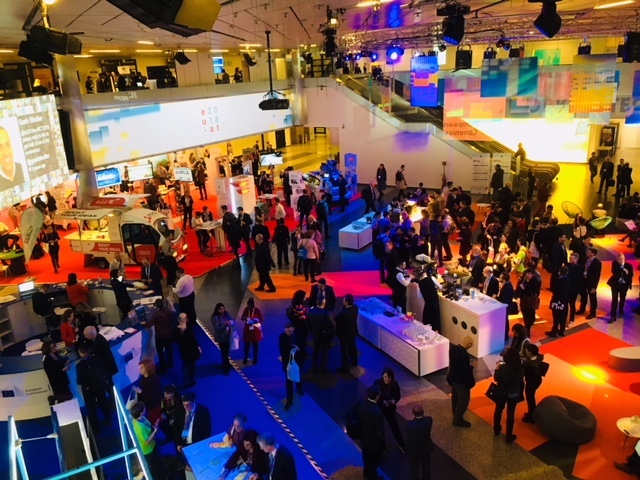 The 20 year anniversary brought the ICT conference back to Vienna where it premiered in 1998. 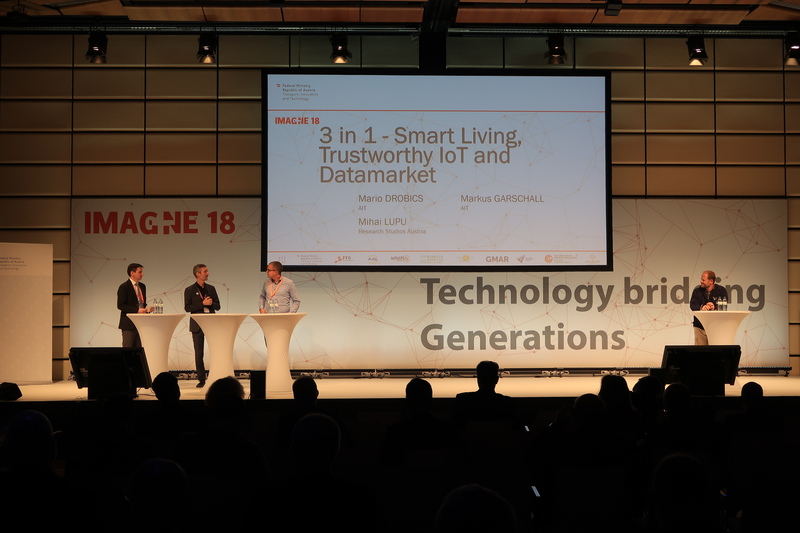 With a confirmed number of over 6000 participants this year´s conference broke all previous records. 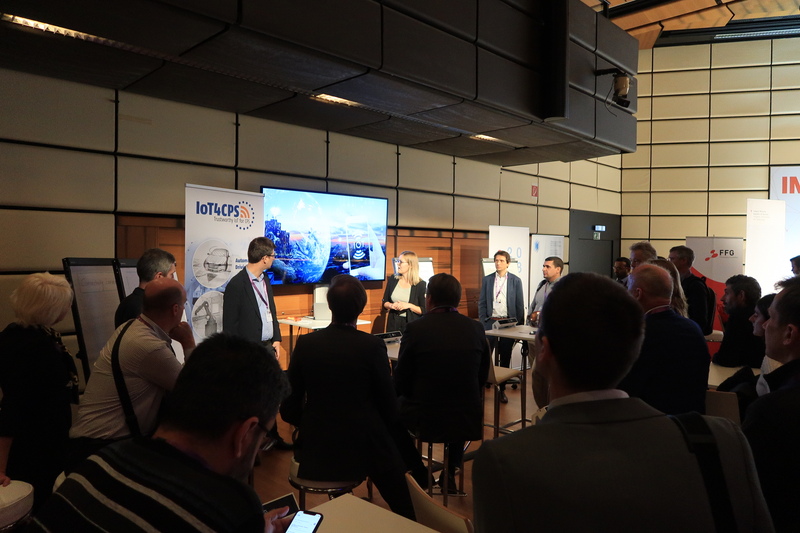 Violeta Damjanovic-Behrendt (Salzburg Research), Mario Drobics (AIT), Omar Veledar (AVL) and Edin Arnautovic (TTTech) enouraged paticipants to join their discussion on “IoT – Connecting Physical and Digital World”, “Connectivity Issues”, “Safety and Security in Automated Driving” and “Digital Twin for Safety and Security in the Automated Industry”. 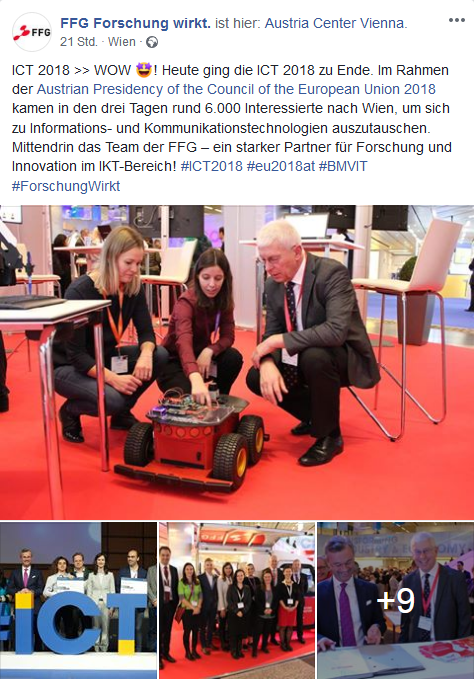 IoT4CPS was also represented in the Austrian Village along with fellow FFG lighthouse projects. 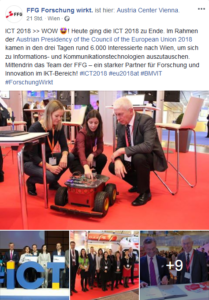 Julia Pammer and Denise Ratasich (TUW) showcasing one of the IoT4CPS demonstrators to Klaus Pseiner, Head of FFG.